Further to our interview with Governor Xaraec, GNW had the opportunity to meet with Senator Cymri Ta of New Alderaan who serves as the planet’s Representative at the Galactic Federation of Free Republics (GFFR). On the matter of the disappearance of Lady Rebellia the former Queen of New Alderaan, the Senator was confident that her whereabouts would be traced soon and denied rumors that she was kidnapped stating that there has been no requests for ransom. The Senator also added that the Queen welcomed an investigation into the affair and declared that the investigation would be led personally by New Alderaan’s Head of Militia, Kreega Zell. 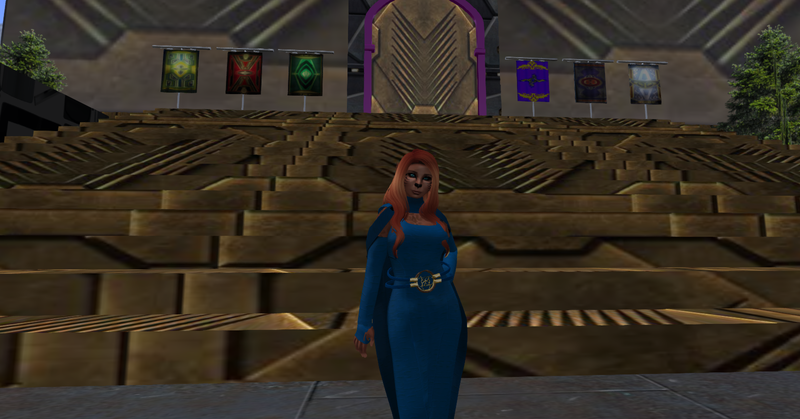 As Senator Cymri herself is a Noble from the House of Killesa however she felt there is nothing wrong in Nobles standing for election to the posts in the Civilian Government stating that everyone Noble or Non-Noble had a right to stand for Office. 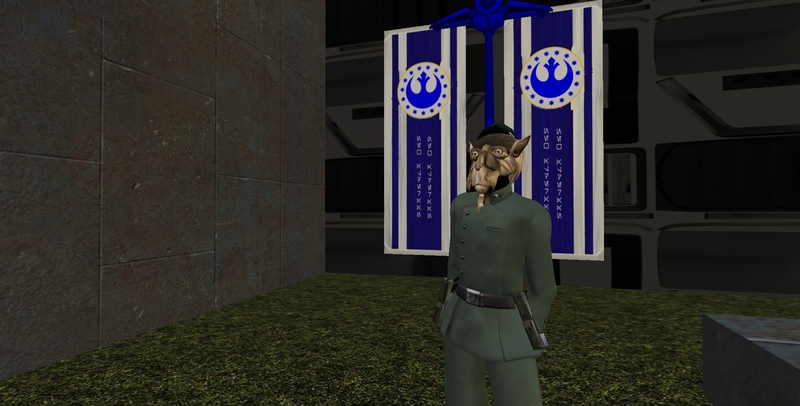 GNW had a chance to catch up with the Governor of New Alderaan, the Bothan Xaraec for a short interview. GNW correspondent: Greetings Governor, post the coronation of the new Queen Jacinda Taborri on New Alderaan you have kept a low profile, why is that? Governor Xaraec: The civilian Government of New Alderaan has been made entirely irrelevant! The reign of Queen Rebellia Organa was supposed to oversee the transition to a full civilian Government. Instead, Democracy has been murdered by the House of Taborri and the House of Thul which had equal claim to the throne if the monarchy was to be continued has been sidelined entirely! GNW correspondent: That is a very serious charge Governor? Governor Xaraec: It does not make it any less true. GNW correspondent: And what of the previous Queen ? Lady Rebellia ? Governor Xaraec: What indeed ? She has disappeared! With no news at all on her whereabouts! GNW correspondent: That indeed is surprising Governor, GNW will investigate no doubt. Anything else for our readers ? 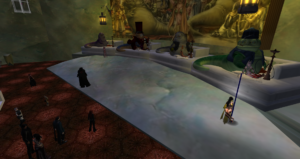 Governor Xaraec: I call upon the press to investigate these injustices! Full democracy must be installed in New Alderaan! The Shade Regime on the Raise! GNW travel to Teth Refueling Station where we met Darth Toruk who was having his shuttle being worked on by the landing crew droids. He saw the article GNW done with GRAE and wanted to go more in depth about the Regime then GRAE did. 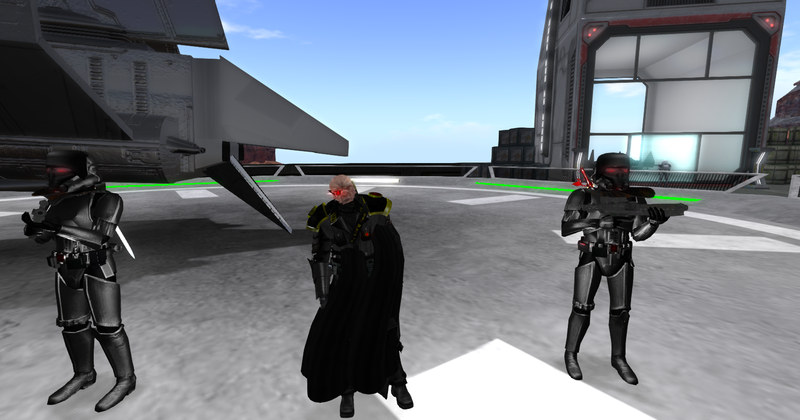 Standing by his guards, Darth Toruk told GNW that Regime returned not too long ago but rebuilding slowly. What is Regime and what are they all about? Darth Toruk Second lead of the Shade Regime and Grand Marauder. His job is to pick out the force sensitives in the Shade Regime and have them brought over to Dark Sided force sensitive program. which they call the Shade Regime Imperius. 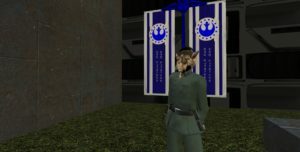 Which Darth Toruk also technically lead. The Shade Regime was once a offshoot Faction of the Shadow Sith clan which is now extinct thanks to GRAE. The Regime is currently a large Trooper faction. They large scale number but not as much as they use have. The Troopers were mostly Mercenaries that volunteered to loose their identities and taken up TK serial numbers. There are only few of them left because most of them died in the fiery bombing on Geonosis by the hand of GRAE and their Troops. Currently, Regime army consists of failed clones who join then were altered with Sith alchemy and other means to amplify their strengths and intelligence. This was also done with some of the Mercenaries as well. We were also told that some of the clones were clone from former soldiers of their. Why all this build up? From the sand crusted planet of Jakku comes another exciting Hutt Night. As usual, a gaggle of Hut converged to talk about business and try to get new recruits into their crime cartels. It was about half way through that a group described as Sith by the Hutts stepped up and made an announcement: “it has come to our attention on malrev that a long lost gemini droid has been found by Clan Gorensia” then he continued to explain himself to the Hutts… “if you are familiar with your history then you know that the Gemini droids are the very brains of a legendary fleet that brought the galaxy to the brink of extinction for nearly 5 plus years” he claimed the droid was on Odessen. The gathered Hutts where needless to say suspicious of the gathered Sith and declared that if all the hutts agreed this is a matter that they should speak on together as council and then agreed as consensus on what to do with droid, and added they believe first they need to verify the sith claim because in typical Hutt fashion there is no point waisting time and credit on something that is false. Once more the Hutts insisted they would talk about teh matter and get back to teh unknown Sith group. Later an official came forward from Corellia with an offer for an antidote of some kind, but when he didn’t have it he went away unsure of if his mission to make all friendly like with teh Hutts worked or not,m and the Hutts were disapointed. Not much else happened, everyone had fun and made it home safe and sound.